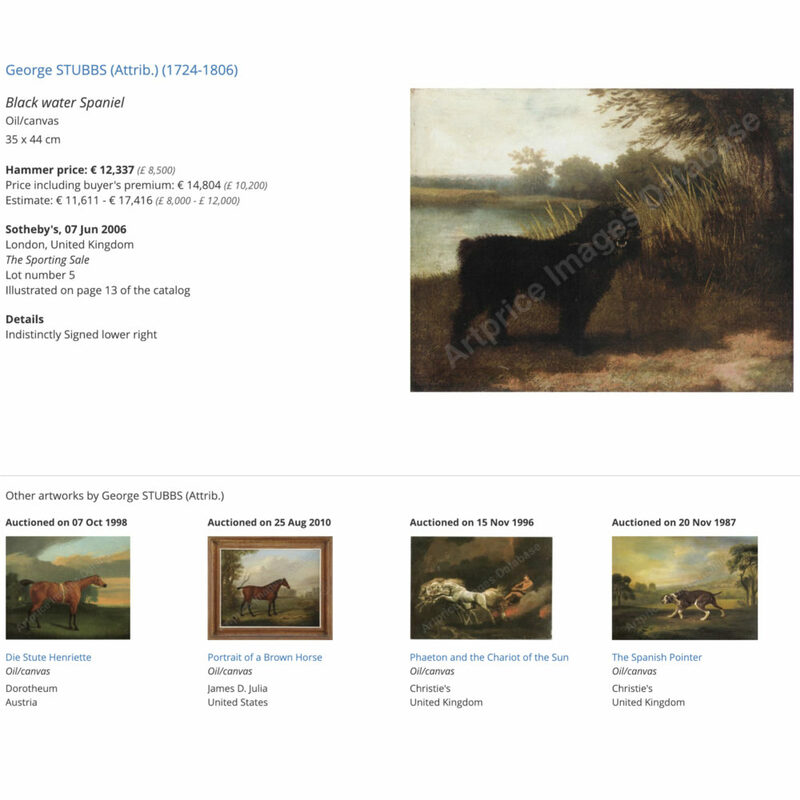 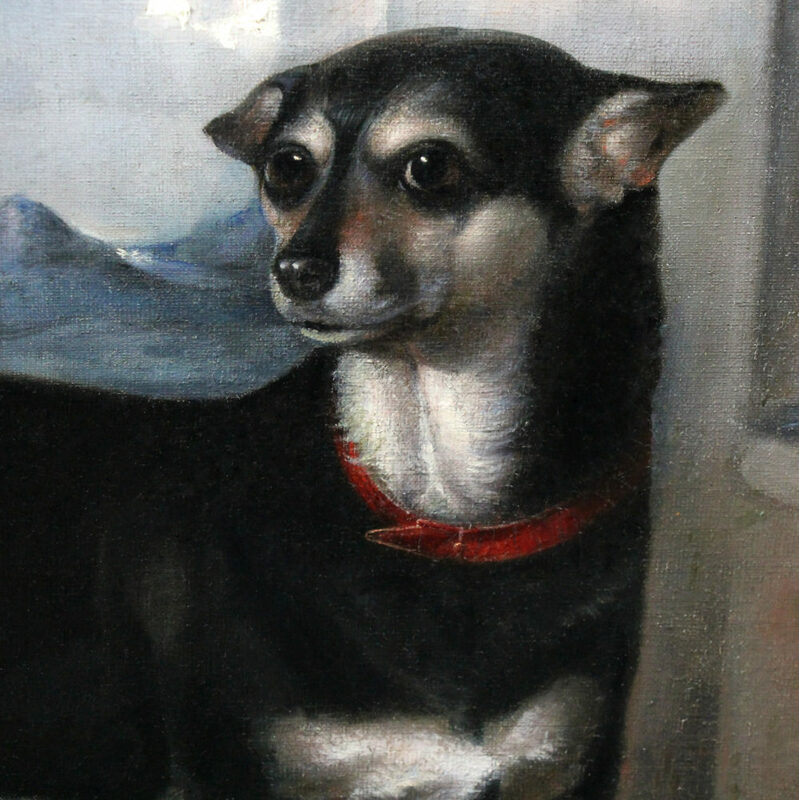 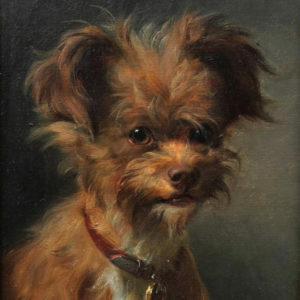 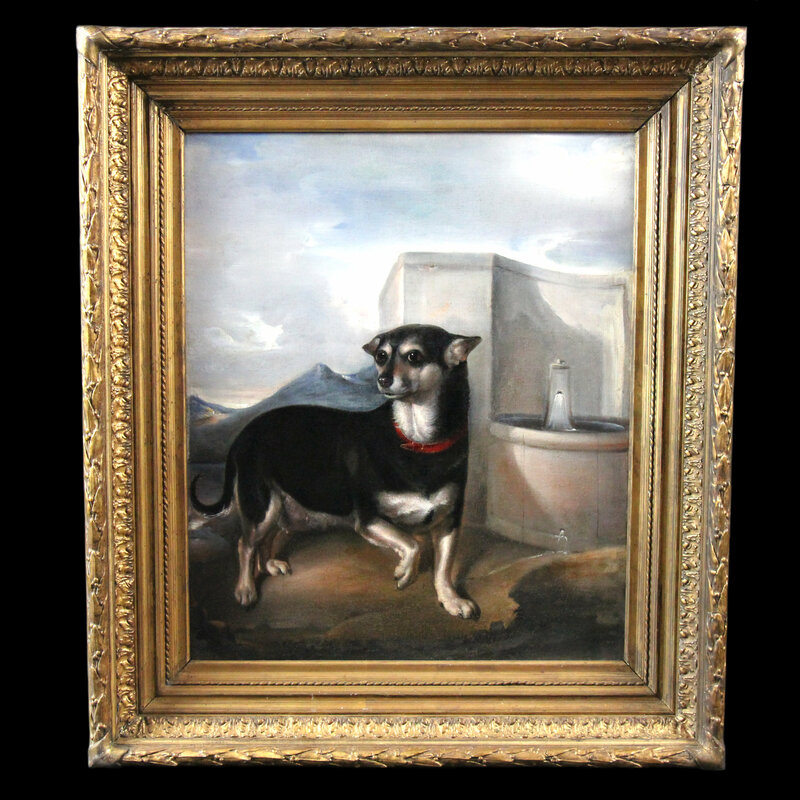 Antique oil painting on canvas ” Terrier by a drinking fountain ” in the style or circle of ” George Stubbs ” British mid 19th . 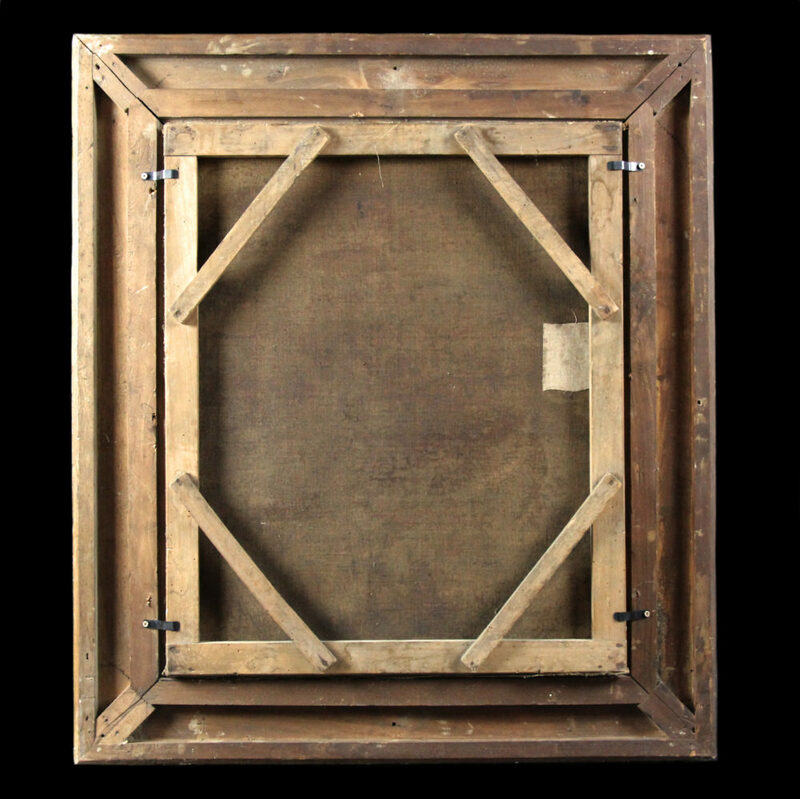 Very nice oil painting with a very decorative frame . 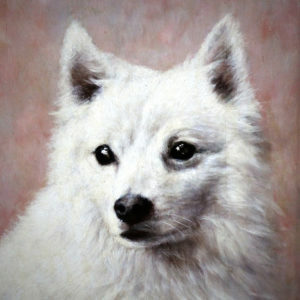 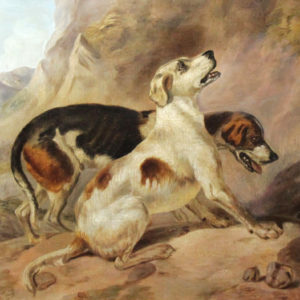 Stubbs remained a secondary figure in British art until the mid-twentieth century. 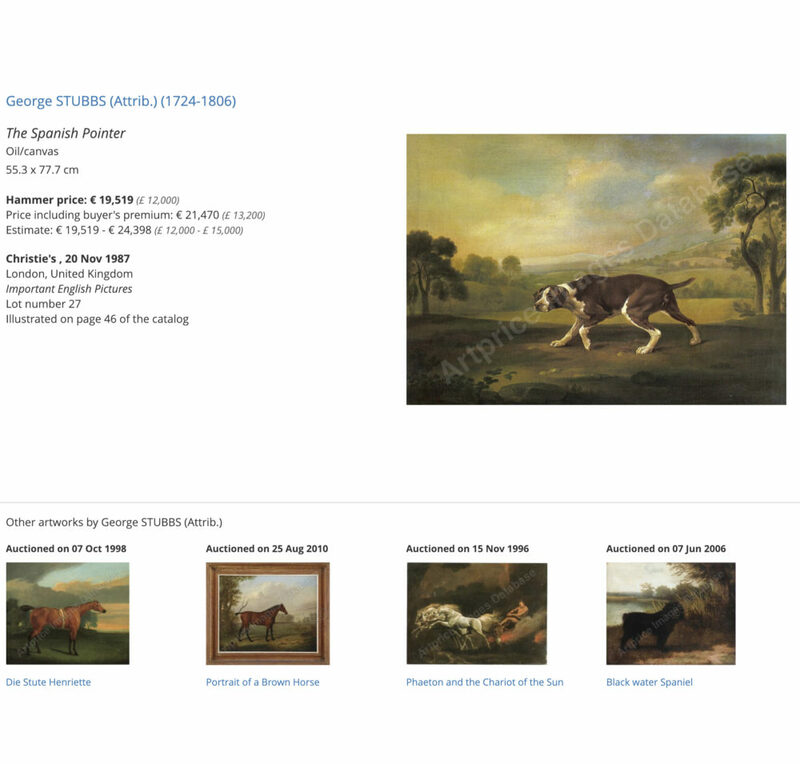 The art historian Basil Taylor and art collector Paul Mellon both championed Stubbs’s work. 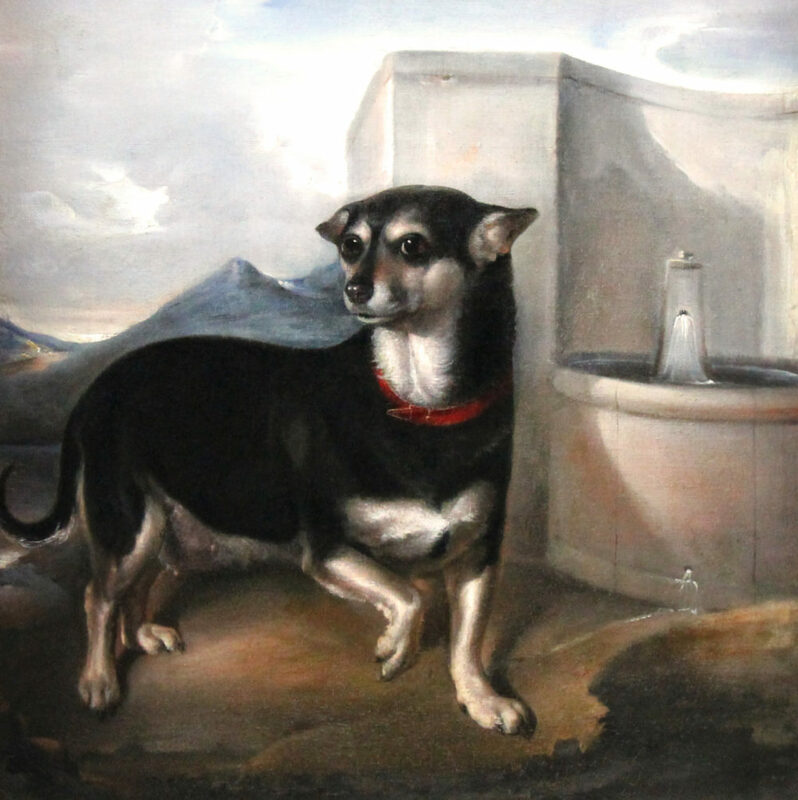 Stubbs’s Pumpkin with a Stable-lad was the first painting that Mellon bought in 1936.
which included a large segment on Stubbs. 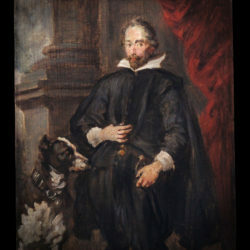 In 1959 Mellon and Taylor first met and bonded over their appreciation of Stubbs.